I recently discovered an important link between two stories about which I have known for years. Turns out there is a deep connection between one of my favorite aircraft and a pioneering scientist at the National Museum of Natural History. The connection appeared while working on a cataloging project, which ended up overlapping with a book that was recommended to me. The book, The Electra Story by John Selding (in Smithsonian Libraries), tells the history of the Lockheed Electra L-188, from its design, production, and introduction to commercial air travel in the 1950’s. It covers how the US government, airlines, and Lockheed dealt with a series of devastating accidents in its first years of service. The Electra’s story has had important impacts on aviation safety and design. I have also been working on a cataloging project with Smithsonian Institution Archives Institutional History Division, to create name authority records that help researchers find materials created by or related to the same person. I was working on a record for Roxie Laybourne. Much to my surprise, The Electra Story, (written just three years after the events) and Roxie’s life converge during an important period in the history of American commercial aviation. The Lockheed Electra L-188 was the first large turboprop plane used by U.S. airlines. This was an important shift in the type of engine used in mid and long range commercial flight. Until then, commercial airlines often relied on piston engines, similar to an engine in a car, and the design dates back to steam engines. The Electra used a turbine engine. They were first designed and built in the 1930’s, and were not put into mass production until the 1940’s[i]. They were more efficient and produced significantly more power than a piston engine. The introduction of turbine engines made commercial air travel faster and more efficient, but it was the first time this type of engine was in widespread service, and commercial aviation was about to learn important lessons through a series of shocking crashes that almost ended the plane’s production. The Electra was produced in 1957, when commercial aviation was only decades old and the U.S. airlines were looking for a plane that was versatile and could help them meet growing demand. The plane needed to fly faster, more efficiently, and work for long and mid-range distances. Engineers at Lockheed worked to fit the bill with the Lockheed Electra L-188, the first large turboprop plane built in America for commercial service. Lockheed L188C Electra PH-LLD “Jupiter” of KLM. Source: Wikipedia, photographed by user RuthAS. By all accounts, it met and exceeded governmental safety requirements and engineering standards. Expectations for its success were high, and airlines across the United States purchased the Electra to be a mainstay of their fleets. The airlines would put thousands of hours on a plane that combined power and technology in new ways. The Electra was built to meet and exceed engineering standards; its engineers worked to anticipate needs due to its increased power, but there were still surprises in store. 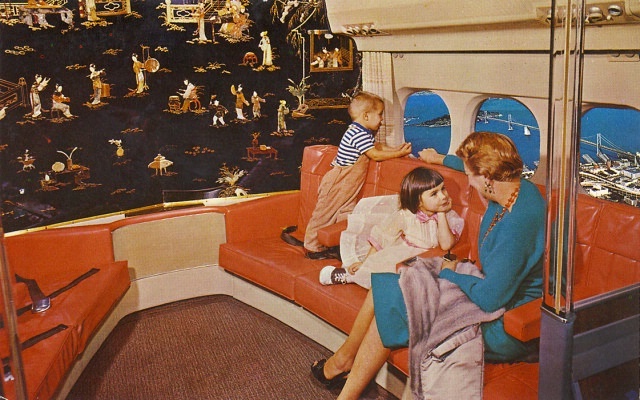 The Lockheed Electra II featured a lounge in the rear of the cabin, as shown in this Pacific Southwest Airlines postcard. Image number NASM-00132840. Source: National Air and Space Museum Archives. The U.S. airlines introduced the plane to their fleets in 1959. Just two years after it was put into wide use, the Electra suffered two devastating crashes—Braniff Airways Flight 542 on September 29, 1959 and Northwest Airlines Flight 710 on March 17, 1960. In each case, a wing was sheared off the plane. Engineers, government officials, and commercial aviation were at a loss during the first months of the investigation. There were calls for the plane to be grounded. Within just a few months of the second accident, Lockheed put into action Lockheed Electra Action Program (LEAP)[ii] that involved an in-depth reevaluation of the entire aircraft. Work was conducted at the new Transonic Dynamics Tunnel[iii] at NASA’s Langley Research Center. 1960 video shows flutter tests conducted at the NASA Langley Research Center’s 16-Foot Transonic Dynamics Tunnel. Tests are conducted using a 1/8 model. Source: YouTube. Electra’s unique combination of increased power with existing engineering standards led to the first known example of whirl mode flutter as a significant flight safety issue. Whirlmode flutter can be compared to the wobbling that occurs when a toy top slows down[iv]. It occasionally developed in piston-engine aircraft, but with little effect. Through study at NASA’s wind tunnel with a model of the Electra, engineers documented the catastrophic effects whirl mode flutter had on the plane. The oscillations increased as it went through the plane, causing the wings and the engines to bend and flex until they were sheared off the plane. Lockheed made several significant changes to its design, increasing stiffness and strength of the engine housing on the wing. The changes were made to all the planes in the fleets, and there were no more issues due to whirl mode flutter. Lockheed just needed time to rebuild the pilots’ and public trust. Unfortunately there would be another crash, on October 4, 1960, Eastern Air Lines, Flight 375 at Boston’s Logan airport. The investigation has a unique tie to the National Museum of Natural History. Investigators discovered bird remains near the scene of the accident. At National Museum of Natural History’s Ornithology department, Roxie Laybourne was developing techniques that would become the foundation of forensic ornithology (the study that identifies bird species involved in accidents, crimes, and the like from scraps of tissue or feathers[v]). Her background and interests would make her particularly well-suited to complete the investigation. She had a long time interest in aviation and engines. Her father was a mechanic, and she had grown up comfortable around engines, building and later designing model airplanes during junior high and high school. She more formally pursued her interest in aviation in 1928 during her sophomore year of college when she started going to the local airport, first helping at the state fair running the wind tunnel, and eventually helping mechanics with plane maintenance, including engine overhauls[vi]. As part of the Federal investigation, she was called upon to identify the remains of feathers found in the vicinity. Roxie determined they were European starlings. 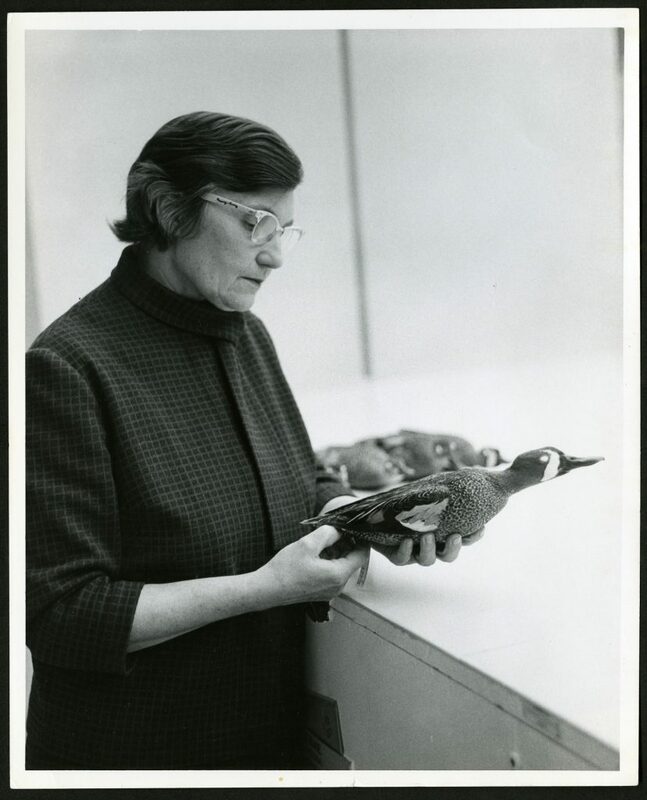 She devoted the remainder of her career on identifying bird strikes and working to prevent them. “Roxie Laybourne Holding a Duck,” circa 1960. Image SIA2014-07441. Smithsonian Institution Archives, Record Unit 04-086, Box 2, Folder 5. 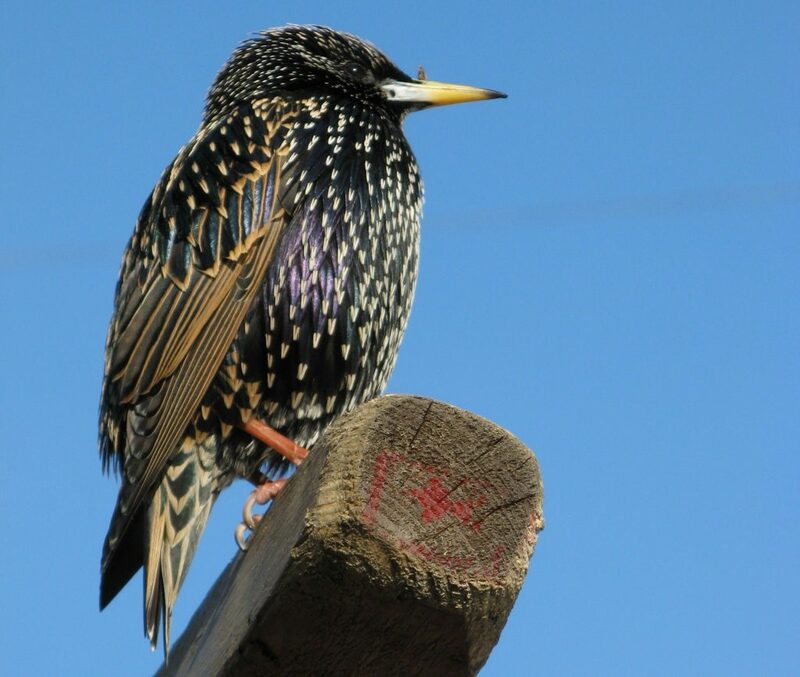 European Starling (Sturnus vulgaris) is a medium sized songbird, average 7 to 8 inches. A flock of starlings brought down the flight from Boston in 1960. Image source: Wikimedia Commons, photographed by user LUZMARIA. 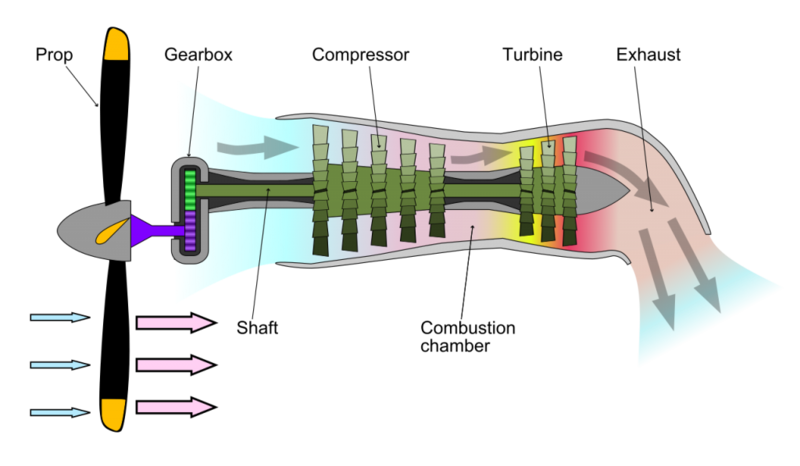 The investigation ultimately determined that, unlike piston engine aircraft, birds and turboprops are a dangerous combination, because of how the engine compresses the air through the engine. The Eastern Airlines crash severely damaged the airline industry’s and public’s trust in the plane; in 1961 Lockheed halted production of the Electra. Airlines had also begun to use planes with turbojet engines (like the Boeing 707) during 1958-1959, and these “jet planes” quickly filled the gap left by the Electra. Bird strikes, like the one Roxie Laybourne investigated, continue to be a serious issue for aviation. Jets, just like turboprops, compress air through the engine, making them just as vulnerable to damage from birds. The issue of bird strike continues to be a constant and growing challenge. As private, commercial, and government aviation increases, bird strikes are more and more common. According to an USDA/FAA report, in 2015 alone more than 13,000 bird strikes were reported[viii]. With modifications, the Electra was converted into a mainstay for another community. It became the P-3 Orion; the US Navy kept it in service until 2015. 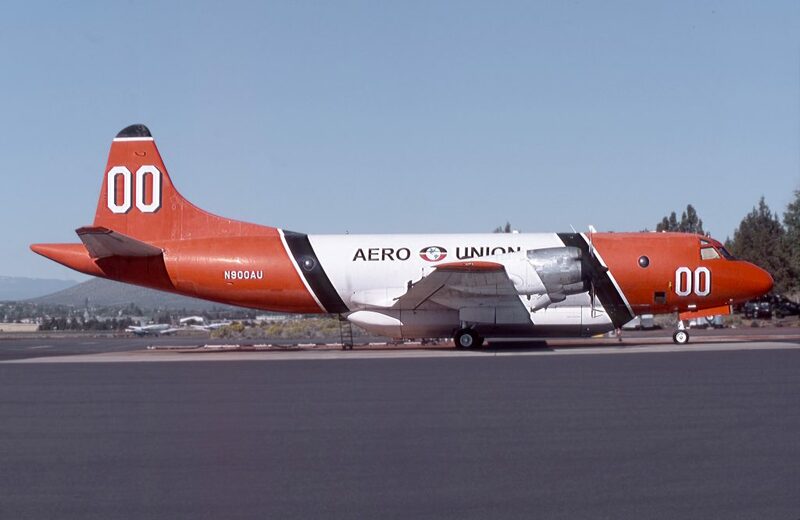 The last P-3 Orion was manufactured in 2000[xi], but it is still used for important missions by other federal agencies like National Oceanic and Atmospheric Administration (NOAA) for studying hurricanes, and National Aeronautics and Space Administration (NASA) for flying over the Arctic and U.S. Forest Service for firefighting[xii]. Roxie Laybourne went on to become a well-known pioneer in her field, helping investigations in many areas of aviation in association with the Federal Aviation Administration (FAA) and National Transportation Safety Board (NTSB), as well as large aircraft manufacturers. She worked at the National Museum of Natural History’s Bird Division for more than four decades, retiring in 1988. Her legacy continues; her mentee, Carla Dove now directs the Feather Identification Lab at the National Museum of Natural History[xiv], which investigates thousands of bird strike cases each year[xv]. [vi] Smithsonian Archives, RU 9610, Oral History Interview of Roxie C. Laybourne, session 13 January 2001, page 14-15.